You can fill out an application to receive notifications on available "Hypo-Sensible Purifying Cleansing Gel (Salon Size)". Specifically formulated for oily skin. Gently cleanses, removes make-up & surface impurities. Helps control surface oils & balances hydrolipidic film. Neutralizes drying effects of hard water. Tightens pores & refines skin texture for more radiant complexion. Leaves skin clean, clear & healthy-looking. My favorite cleanser. 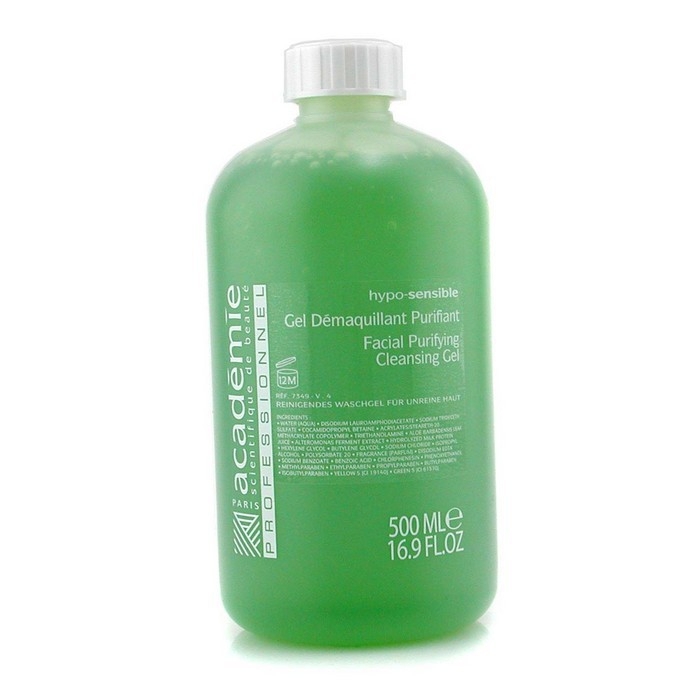 This cleansing gel by Academie is by far the best cleansing product I've had. It is suitable for a large variety of skins, and since I have a relatively sensitive skin with dry patches, it is perfect for it. Also, the size of this bottle is great. It's sometimes hard to find, but when I do, I'm always happy to buy it. Highly recommended!